Brain arousal for your eyes and brain, the only thing that it’s missing is the audio, but trust me it will channel your inner primordial need for some low key sounds. While you are reading it you‘ll think associatively and go and play it in your stereo. The Doomster’s Monolithic Pocket Alphabet HC is an excellent gift for the Doomster in your life as this ode to all things Doom delights from page to page with Doom-centric content. The writing is clever, and the illustrations are fantastic. Give this one a read. I can’t thank Theo and Maarten enough for the work they’ve done, Image Comics for putting it out, or hell, Fat Moose for stocking it. I am so deeply honored and deeply humbled by the entire idea. […] an introduction to the miasma of Doom Metal, something that would not only help open the crypt to those curious about the darkness of the music and culture but also something to help teach the doom spawn their early alphabet. If you thought the prologue was great, like I did, wait for the rest of the book. It starts and ends hilariously, staying with the alphabet book theme. I’m so glad I got to read this book, even though it’s super short. The art is amazing and really brings the whole thing together. 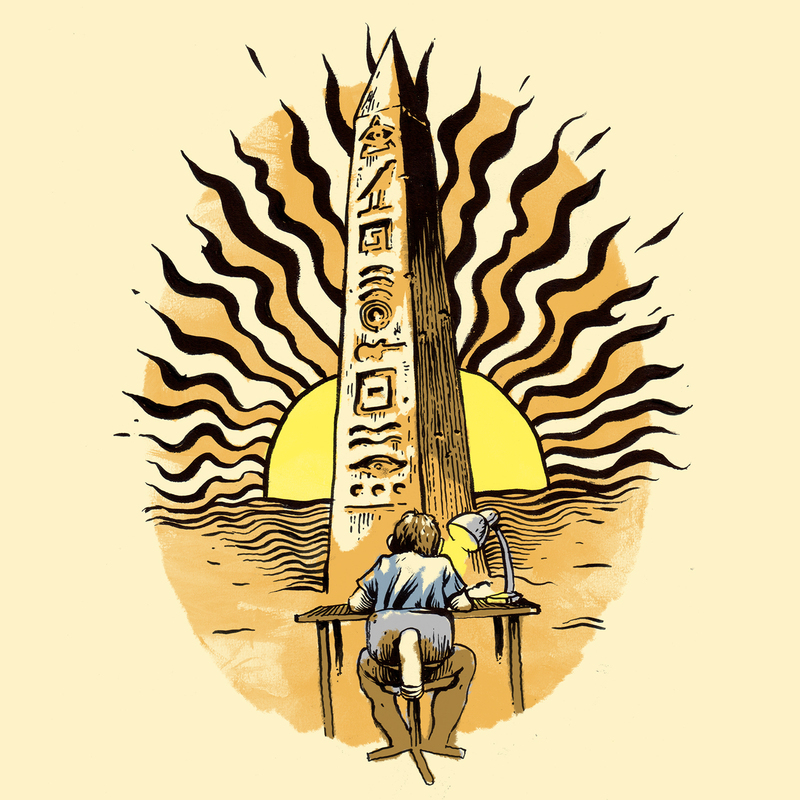 The Doomster’s Monolithic Pocket Alphabet written by Theo Prasidis and with art by Maarten Donders is a love letter to doomsters. It’s short, it’s fun, and it’s cute. […]It’s a great book for a collection, or something to keep as a coffee table book. A to Z it is an excellent reference to Doom Metal.